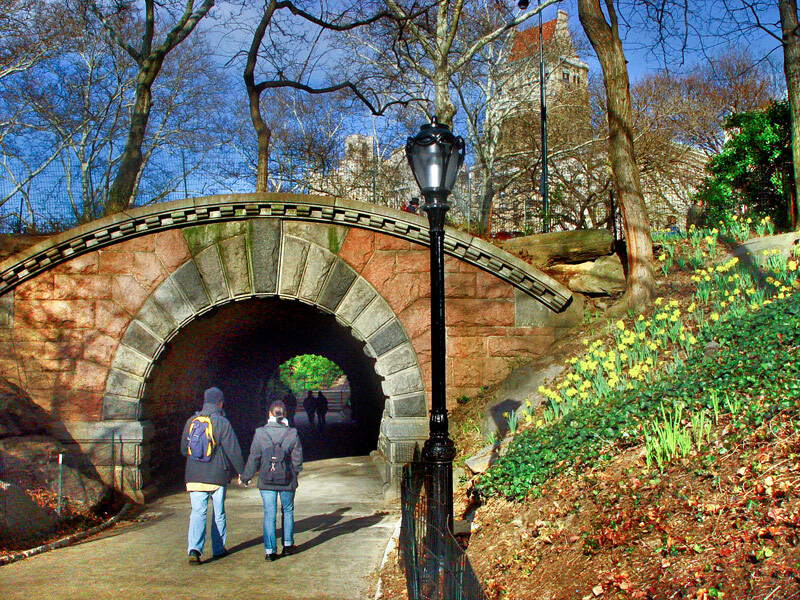 Miami In Focus Photo Gallery of the Inscope Arch E62 in Central Park. Dimensions: Length -13 feet 7 inches: Height - 12 feet. Passageway: Length - 34 feet. 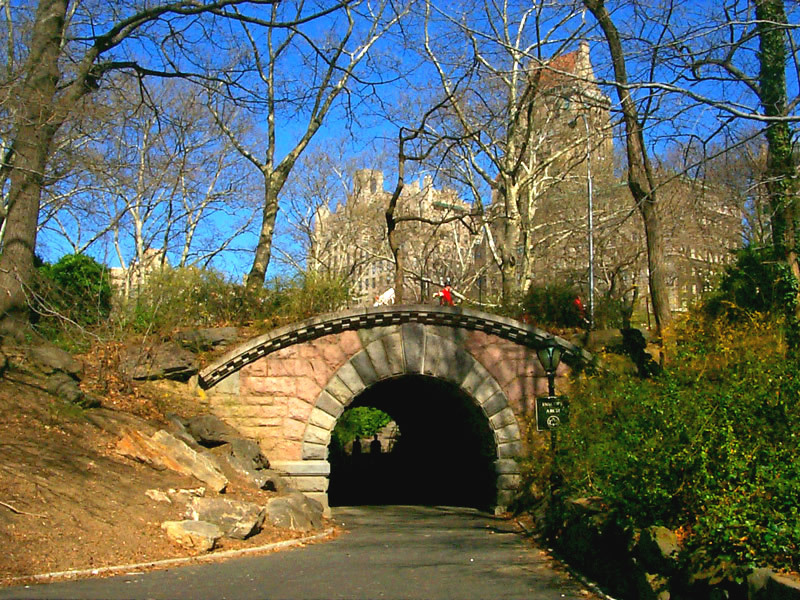 Revetment (surface): Pink granite surrounding a gray granite oval that borders the half-oval opening of the archway. Archway: Tuscan with voussoirs that form an elliptical shape on top and a round shape at the bottom. Surface Embellishments: A segmented sweeping arc that finishes the elaborate granite design. Somewhat hidden and rarely used, the Inscope Arch is a beautiful structure to admire and a main highlight of the arches of Central Park. 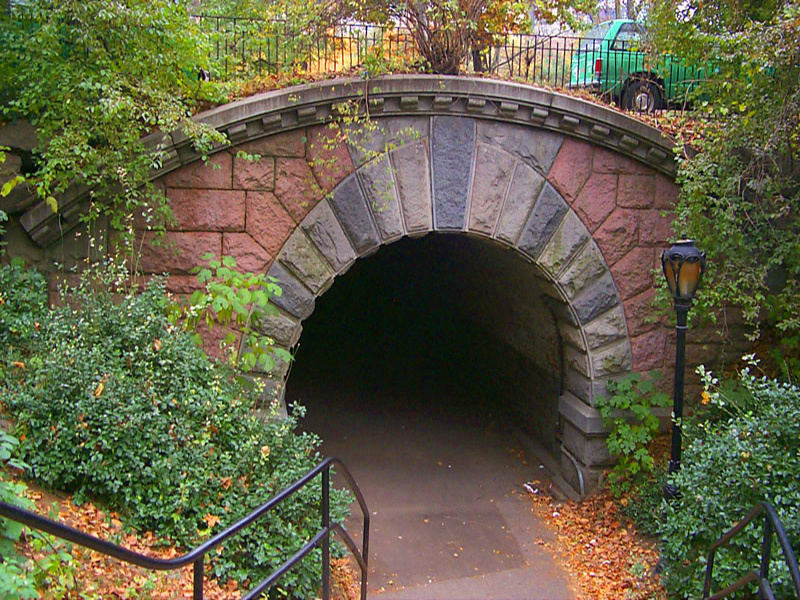 Located on a short obscure path east of the Pond, the underpass of this ornamental arch is generally dark and usually flooded after a heavy rain. Once you’ve walked through the underpass you will notice a short flight of stairs on the east side that connects pedestrians to Wien Walk with the Wildlife Center in view.